The galaxy of warrants trading on the TSX/TSXV now consists of only 135 stars (i.e. constituents) in total of which only 37 are associated with 33 commodity-related stocks that have sufficient brightness (i.e. 24+ months duration) to warrant (the pun is intended!) the attention of earthly investors. 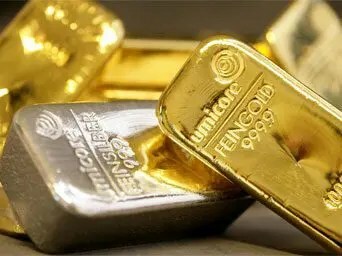 To learn why you should buy the long-term warrants of commodity-related (and particularly gold and silver) companies and exactly how to go about doing so please read this (1) article. The 37 LT tradable warrants (many warrants are offered as “sweeteners” to underwriters/financial institutions and company insiders and, as such, do not trade) of the abovementioned 33 companies (4 companies have 2 warrants each) have been gathered together into an equal dollar-weighted proprietary index called the Commodity Companies Warrant Index (CCWI). b) You could do your own due diligence of each of the 37 companies and decide which company or companies are to your liking and purchase their associated warrants accordingly. Next Chicago Fed National Activity Index: Recession Coming?